Fine grade natural black bristles. Seamless polished aluminum ferrules are double crimped to handles. Natural hardwood handles feature lacquered finish. 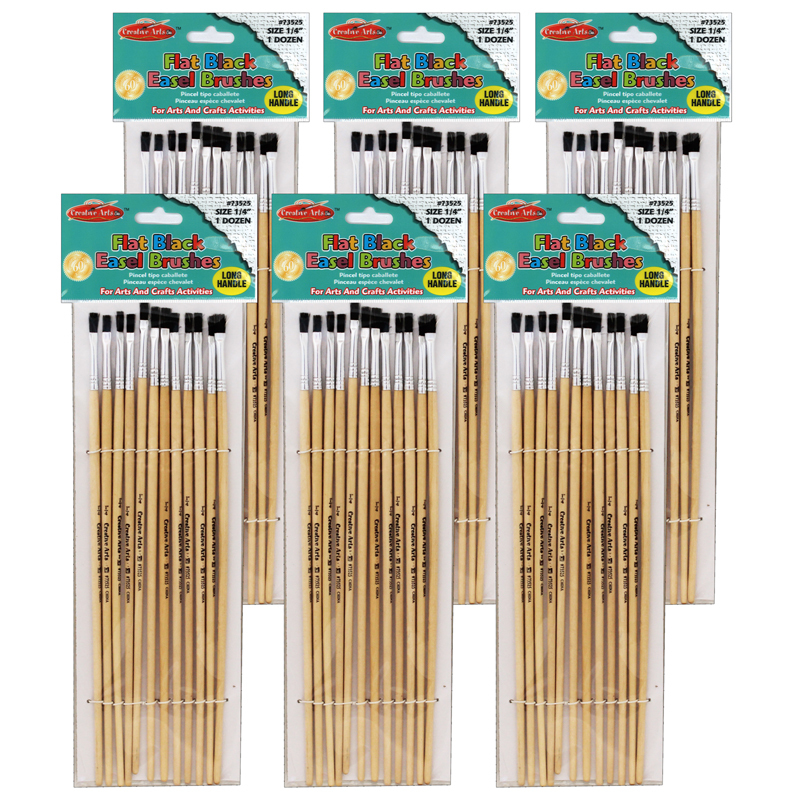 Short handled easel brushes are ideal for budding artists. Each pack includes 12 brushes. Sold as 6 packs for a total of 72 brushes. 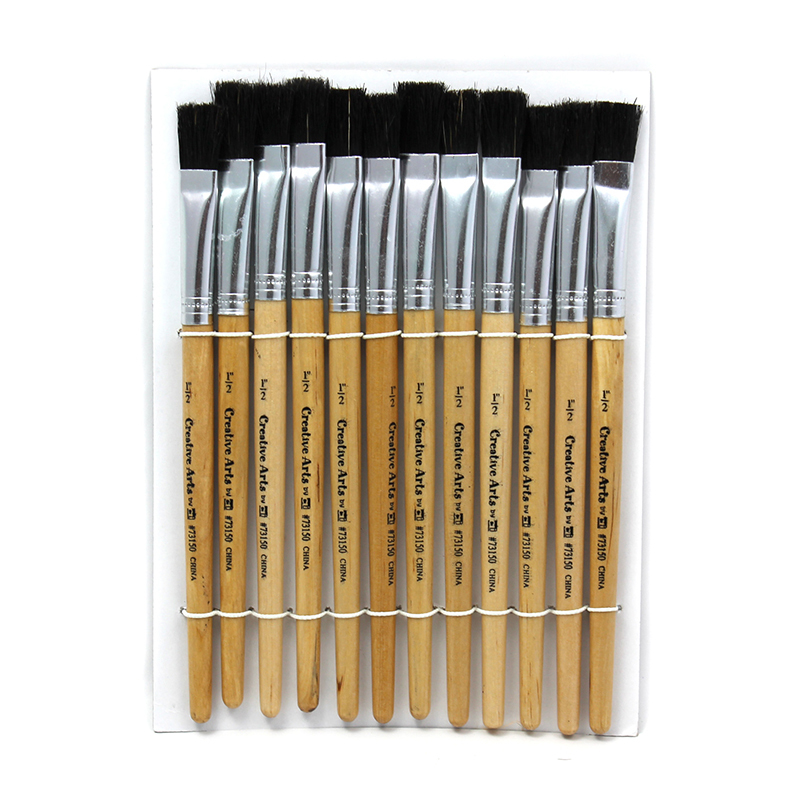 The (6 St) Brushes Stubby Easel Flat1/2in Natural Bristle 12 Per Set can be found in our Paint Brushes product category within the Arts & Crafts. Fine grade natural black bristles. Seamless polished aluminum ferrules are double crimped to handles. Natural hardwood handles feature lacquered finish. 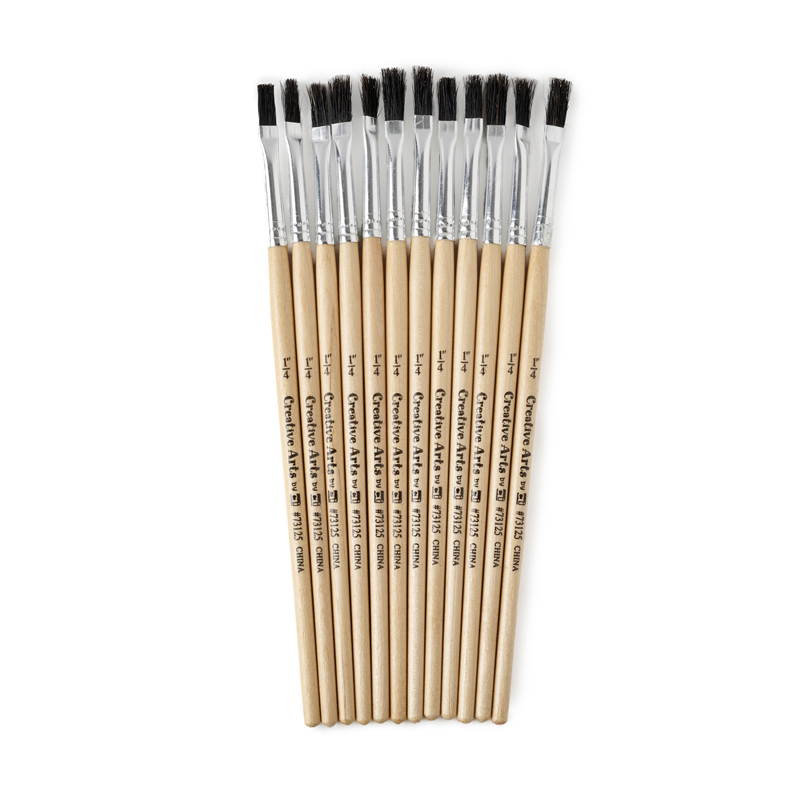 Short handled easel brushes are ideal for budding artists. Each individual set contains 12 Brushes, Bundle of 6 sets, 72 Brushes total.